Below are the first impressions students enrolled in “Sojourners: Black Popular Culture in Paris” at the University of Southern California wrote during their first night in Paris, France after our welcome dinner in Montmartre. “Arriving in Paris I was surprised by the land. The land has been so greatly impacted by the influence of man for centuries that the aerial view looked like a schematic layout; perfectly straights lines (see attached picture from the airplane). I was surprised by the fog, the cold fog that covered the sky and city. I am interested to learn more about the history of this city and how it became what it is today. In the United States, I frequently feel objectified walking through the streets alone because of my race, my gender or both. As a result, I’m at times guarded and rarely allow myself to connect with strangers. In Paris, I dared to peek again. I noticed other’s eyes for the first time in some time and did not feel like my being was at risk. Of course, there were a few occasions but significantly less than I am used to. This gives me a bit of hope for the state of race and sexual relations in the City of Lights. I am choosing to have an open mind and learn as much as I can about what this city has taught so many other Black radical thinkers about what freedom entails. “For five years, I have studied the French language and culture, yet I never fully comprehended how much of an impact African Americans had on the City of Lights. I look forward to going to the places where Baldwin created his most notorious pieces, the jazz club where Bechet performed nightly, and how African American migration post World War I and World War II forever left a footprint in Paris. It is going to be incredibly exciting to see black magic sprinkled in one of the most culturally wealthy cities in the world. 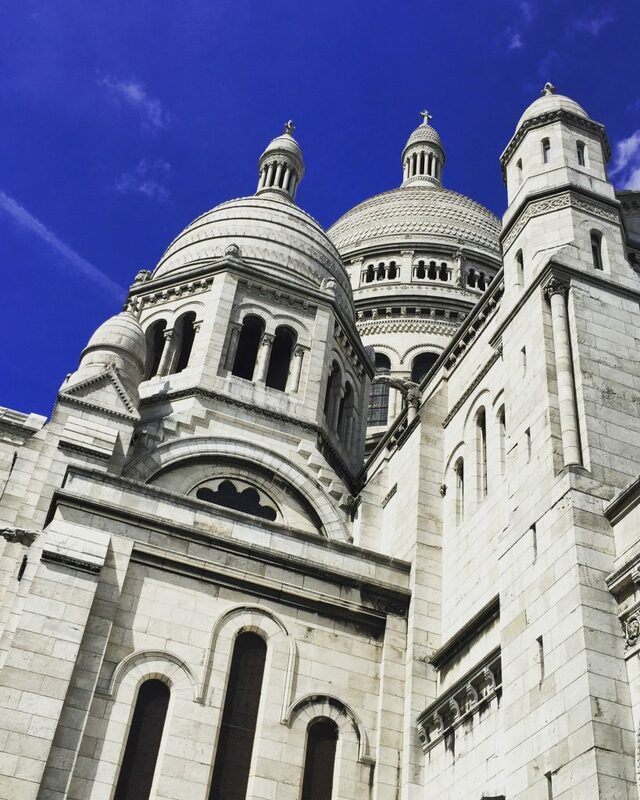 “Paris is absolutely beautiful and I am so grateful to be here! Since I have arrived I would say one of the main differences I see from LA is the pace. Though Paris is a very busy place, there is this air of tranquility that rests over the city. As I walked home from the welcome dinner I admired the beautiful architecture, the whimsical cafe environment, and the people that filled the streets. I felt like I could relax just a little bit, take a breath and truly enjoy my experience. It was not just about getting from point A to point B, but rather about taking in every moment. In LA there can be so much chaos that we take the little things for granted, but as I walked the streets of Paris today I could see others really living in the moment and enjoying the company of those they were with. “I have been to Paris before, but I found that between being older and having done the readings for this class and just finished a seminar paper about James Baldwin, I am seeing the city in a new light. The first thing that jumps out at me is the huge prevalence of African culture. Being a stereotypical fan of Paris, I have always thought primarily of my Parisian experiences through the lens of food. Yet my favorite experiences of food this time are not from the classic brasseries or cafes, or even upscale “French” establishments, but from a couscous place which I returned to the very next day, and a hole in the wall West African restaurant that closes at 8am. My experience with the food was nothing but comfort and deep satisfaction, combined with a peaking interest for a new taste. But while this was true for the food itself, I found that this experience was greatly contributed to by the people, whom I experienced similarly—full of comfort and with a new hip edge. I also noticed the presence of a cafe, a boulangerie/patisserie, and a tabac on every block, 95% of which were names that I was unfamiliar with; in other words, rather than seeing a Starbucks (which I am embarrassed to say was the first place we rested in) and a McDonalds on every block, they were small businesses that only existed in that place alone. In America it is difficult for these small establishments to last long in the shadow of large corporations, but here it seems to be the other way around. “Yesterday I landed at Charles de Gaulle to a clouded, grey landscape which struggled to stand out from my monotonous hometown of Burbank, California. With all sixty pounds on my back, I made my way underground to the RER, headed to the city center with no friends, no place to stay, and nothing more than “Bonjour” in my vocabulary. The waves of foreign conversations and the unending grey sky seemed to consume me, and I became homesick. “I haven’t been in Paris for long – I arrived last night around 9pm, and then lazily took an Uber when I should have taken the metro. (Is it called the metro here? I will see today, I guess.) My first impression was amazement at the fact that it was still light out at that time, when the latest the sun will set in Los Angeles is 7:30pm. The light is great for a tourist like me, so I’m glad for it. The uber was more complicated than I thought it’d be. The driver didn’t speak English, and the one thing I’ve learned here for sure thus far is that I don’t know a lick of French, and my Spanish won’t help me at all. (As soon as I get the chance, I’m going to memorize as much as I possibly can.) However, when I got in the Uber, one of the three passengers spoke English fairly well, and so we talked. She hates Paris – says the city is too dirty, too crowded. She says everyone studies English but it’s not taken seriously here, just as it is not in the United States. She and her two friends were traveling for a judo team. “On Wednesday the 9th I was living in an apartment by USC studying for a final, and by the night of Saturday the 12th I had moved out, finished my sophomore year of college, and taken a grueling layover to Paris CDG through Reykjavík. A few noteworthy moments through all the noise of the past few days: my sister turned 24, I ran into the ocean alone and fully clothed, and I was briefly planning on delaying my flight to Paris to follow a woman named Jenna through Iceland, who I had just met on the flight there. Anyways – the point is that I’m frazzled, tired and confused. But I have already picked up on a rhythm to Paris that is really interesting and unique, and also very different from Los Angeles. For example, the hotel where I stayed last night was called Austin’s Hotel: it had only 5 rooms, and in the lobby, which was about 150 square feet, Austin himself greeted and handed the keys to all of the patrons. The elevator was barely big enough for me, and the hallways were thin and not completely symmetrical. I ate that night at a very small restaurant down a narrow one way pavestone street. The man at the counter took my order and then made the food himself. I speak french fluently, but I must have still looked out of place; everyone I met asked me what I was doing there. This is our class story. Stay tuned!